Q. What is Habitat for Humanity? A. Habitat is a nonprofit, Christian housing ministry. We advocate to increase access to decent, affordable housing around the world. Q. How many people has Habitat served worldwide? Q. Who are the founders of Habitat for Humanity International? Q. What role does Jimmy Carter play? A. Jimmy and Rosalynn Carter’s involvement with Habitat for Humanity International began in 1984 when the former president led a work group to New York City to help renovate a six-story building with 19 families in need of decent, affordable shelter. Jimmy Carter is our first famous volunteer. Q. When was HFHI started? Q. How old is our local affiliate? A. Morris Habitat for Humanity is 32 years old. We incorporated as a 501(c)(3) nonprofit organization on October 21, 1985. Q. What are the three basic guidelines for homeownership? A. 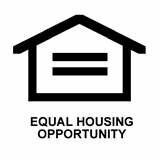 Need for affordable housing, ability to repay the mortgage, and willingness to partner. Q. Does Habitat give houses away? A. No, Habitat for Humanity is not a giveaway program and makes no profit on the sale. Habitat homeowners purchase their houses through affordable monthly mortgage payments. Habitat’s homeowners also invest hundreds of hours of their own labor, called sweat equity, working alongside volunteers and other Habitat homeowners. Q. How much of the Habitat home does the family have to pay for? Q. What percent interest does the homeowner have to pay for their home? Q. What is the sweat equity and how much of it is required? A. Sweat equity is the 300-400 required hours – dependent on number of applicants – that new homeowners must spend working on their house, other people’s houses, in the ReStore or in other approved volunteer positions. Q. What is the ReStore? A. The ReStore is a nonprofit home improvement store and donation center that sells new and gently used furniture, home accessories, building materials and appliances to the public at a fraction of the retail price. Habitat for Humanity ReStores are proudly owned and operated by local Habitat for Humanity affiliates, and proceeds are used to build homes, community and hope locally and around the world. Volunteers are vital in keeping the ReStore operating! All proceeds benefit Morris Habitat for Humanity. Donate your excess building supplies and furnishings today! Q. When did the Morris Habitat ReStore start in your community? Q. How many families has Morris Habitat served so far? A. Since its founding in 1985, Morris Habitat has served over 400 families though its home construction, rehabilitation, repairs, and international home building programs. This means that more than 1,500 people have a safer place to sleep at night and a foundation on which to build better lives. Q. How many houses has the Morris Habitat ReStore funded to date? A. We have been in business for 10 years and have helped fund 22 of the 84 homes constructed by Morris Habitat and kept over 5,800 tons out of landfills. Q. Who is your local affiliate’s CEO? Q. What is the Morris Habitat ReStore’s website? Q. Does the ReStore pick up items? Q. How much does it cost to build a Habitat house? A. About $150,000 for land and construction only. Q. Does Habitat only focus on building new houses? A. No, Habitat works in a number of different ways to create decent, affordable housing. In addition to new construction, Habitat also renovates existing buildings in many communities, particularly in urban areas. Habitat’s Neighborhood Revitalization and Home Repair programs help people repair and improve their own homes and neighborhoods. Our Disaster Response program also works with local communities to address a variety of housing needs after natural disasters. Habitat’s partners and advocacy work help raise the awareness and support needed to address housing needs around the world. Q. Will Habitat replace the roof on my house? A. Morris Habitat has a Neighborhood Revitalization Program, which provides home repairs to property owners whose income is too low to allow them to hire people to work on needed repairs, so that they may continue to live in a decent affordable home. Homeowners must apply and meet the requirements for this program. Q. What are Morris Habitat’s current projects? A. Visit our Volunteer web page to learn how to get started in each area. To begin volunteering with Habitat, all volunteers must create a volunteer profile on our online volunteer calendar. Q. How do I learn about becoming a Morris Habitat homeowner? A. Fill out our mailing list form so you will know when we are looking for new homeowners.